What a fun few days! I had an unexpected weekend off from work, thanks to my lovely boss. Kevin and I hosted the family Christmas party this year and it was a huge hit. We even had Santa stop by! Bianca got her very first present from Santa and she loved it. If that joy is anything like what Christmas will be like, I literally cannot wait to watch her open the rest. Without a doubt, Christmas with Bianca is better than any other Christmas I've ever had as a kid (and those were pretty awesome). 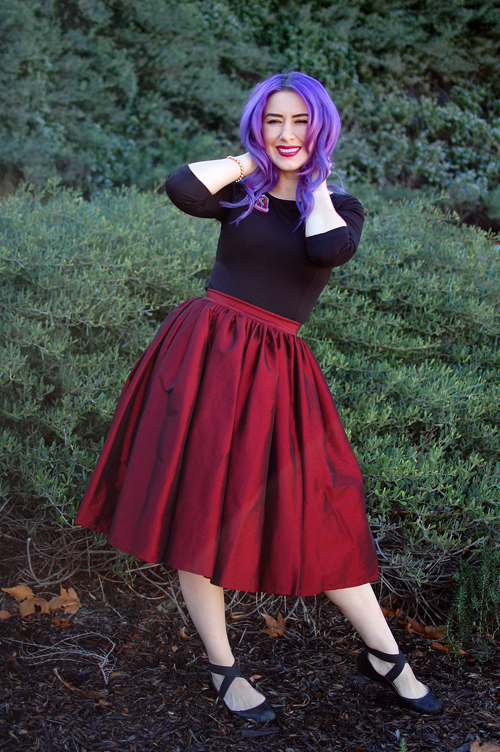 This red taffeta Jenny skirt is the perfect holiday staple. I've been known to wear it all year around, but it really brings out the holiday spirit in December. I went ahead and paired it with my rose brooch from Deer Arrow. Anyone who knows me knows how much I love Belle. She was the first princess who wasn't waiting for some dude to come and validate her lonely life. 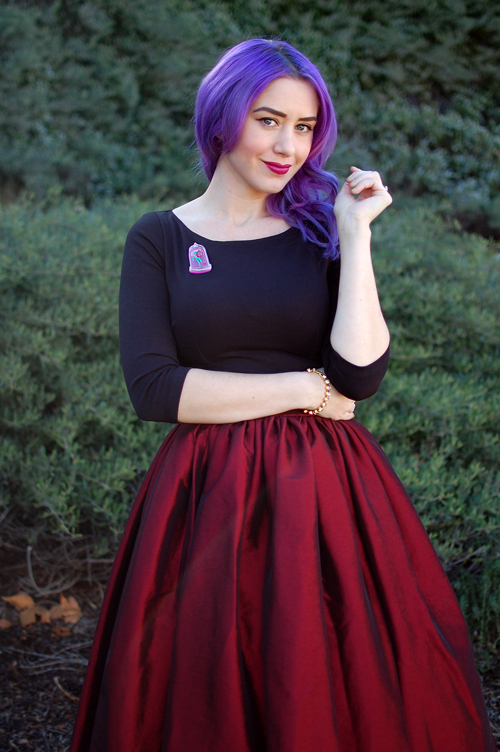 So I'm sure you can imagine how excited I was to add this brooch to my collection!